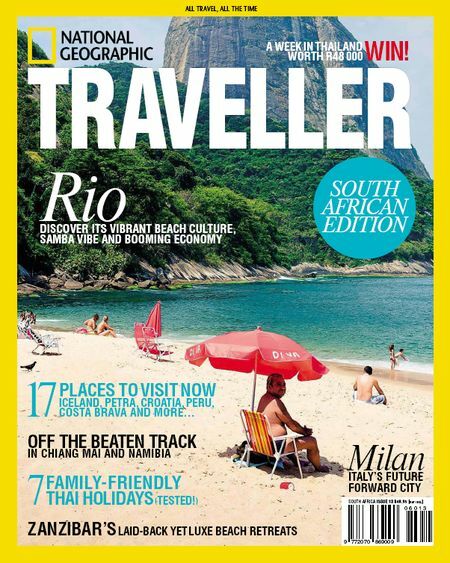 As the only locally produced and internationally-focused travel magazine on the South African market, National Geographic Traveller South Africa appeals to high-income travellers who are passionate about experiencing the world.National Geographic Traveller celebrates journeys that are about place, experience, culture, authenticity, living like the locals, and great photography. It makes a distinction between tourism and travel, and stresses inquisitive not acquisitive trips. Semoga artikel tentang National Geographic Traveller South Africa - Issue 13, March-May 2012 (PDF File) bermanfaat untuk anda dan jika ingin mencopy artikel ini mohon untuk meletakkan link dibawah ini sebagai sumbernya.